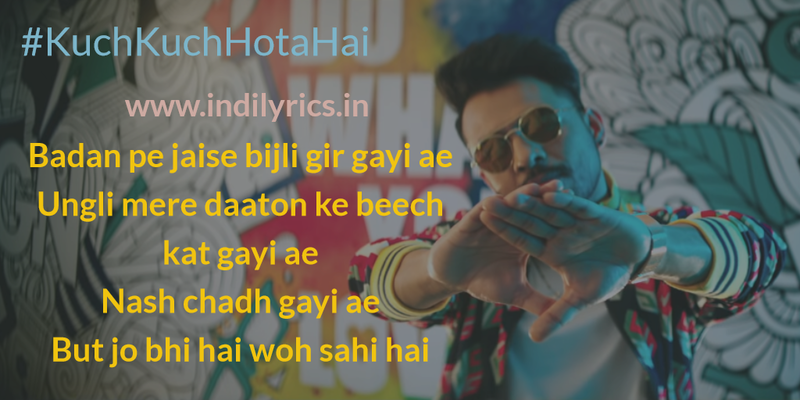 Kuch Kuch Hota Hai Full Song Lyrics with English Translation and Real Meaning Explanation from latest Single track from Desi Music Factory. This groovy track which shows teenage romance in schools, is composed, penned and sung by Tony Kakkar. The music is available under the label of Desi Music Factory. The audio mp3 version of Kuch Kuch Hota Hai by Tony Kakkar is free to download and stream from most of the major online music portals, the music video of Kuch Kuch Hota Hai stars Tony Kakkar, Priyan Sharma, Neha Kakkar & Ankitta Sharma.